يقع فندق Blenheim Palms Motel، المصمم ليناسب كل الضيوف سواء كانوا من رجال الأعمال أو السياح، في مكان ممتاز في أحد أكثر المناطق تفضيلاً في Blenheim City Center. إن موقعه الجيد الذي يبعد 0.1Km فقط عن مركز المدينة يساعد النزلاء على الاستمتاع بمعالم المدينة ونشاطاتها. بالنسبة لمن يريد الخروج، هذه بعض المعالم السياحية المتوفرة للزوار ‪Seymour Square‬, مالينيام ارت, سبوكسمان. يقدم Blenheim Palms Motel خدمات لا غبار عليها وكل أشكال اللياقة وحسن الضيافة اللازمة لإسعاد ضيوفه. يمكن الاستمتاع بمجموعة من الخدمات على أعلى المستويات في الفندق كمثل واي فاي مجاني في جميع الغرف, مرافق مخصصة لذوي الاحتياجات الخاصة, واي فاي في المناطق العامة, صف السيارات, جولات. في Blenheim Palms Motel غرف نوم يزيد عددها عن 17 صممت بذوق وعناية لتوفر لك كل وسائل الراحة . بعضها يحتوي أضاً على تلفزيون بشاشة مسطحة, اتصال لاسلكي بالإنترنت, غرف لغير المدخنين, تدفئة, مكتب. كما أن مجموعة الخدمات الواسعة الموجودة في الفندق لضمان راحتك تترك لك الكثير من الخيارات لقضاء وقتك أثناء فترة إقامتك. إن Blenheim Palms Motel هو مكان مثالي للمسافرين الذين يتطلعون إلى الراحة والاستجمام في بلينهيم. Great location close to some great food in Blenheim. Accommodation was spacious and comfortable and at a good price. The facilities were high standard in the way NZ motels are, which is not common in Europe, with self catering facilities. But the owners of Blenheim Palms were particularly helpful in getting me out of a real difficulty regarding transport when I'd lost my UK driving licence before arriving in NZ South Island. They went right of their way to help in what was a very difficult situation. It was all right for one night. A stool instead of bed tables made it awkward to read and have place for the bedlamp. It was good to be Ble to park by the room. Location, newish and staff very freindly. This is a good motel. 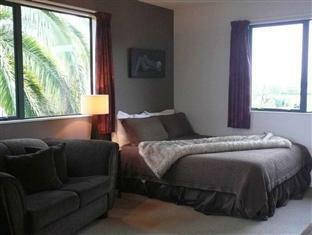 The thing is, so are all the other places in New Zealand that we have stayed at. Does that make it average? I think the proximity to the town centre gives it a slight advantage (if that's important to you). My stay at the Palms Motel was very good. 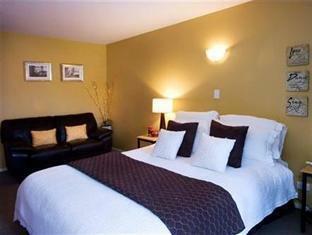 Motel is in a great location in the centre of town but tucked away so there is little noise disturbance. It was clean, central & the staff were friendly & helpful. The queen bed was fine for one person but with two it moved a lot with a rolling motion each time the other person moved. Other than that, very enjoyable. Clean and good value for money. Lady at reception was filling in but was very pleasant and the owner was helpful with travel tips for our journey. The plunger and "real" coffee was a nice touch. Bed was very hard but after 3 weeks in motels/hotels we now know that is the norm unfortunately. Check room site as this is 2 storey. Everything clean and tidy - even had a Christmas tree. Perhaps a little overpriced as is not really modern ie no double glazing. Stayed there for 2 nights on a business trip. The room was comfortable and clean. It is a 5 minute walk for the city center. A supermarket is in the next block and also restaurants and coffee places not far away. Internet was free of charge but you had to get the access codes (for only two hours access) from the reception. If you came back after 8pm, when reception had closed for the night, you were not able to access the internet till next morning. I learned that the hard way in the first night of my stay. 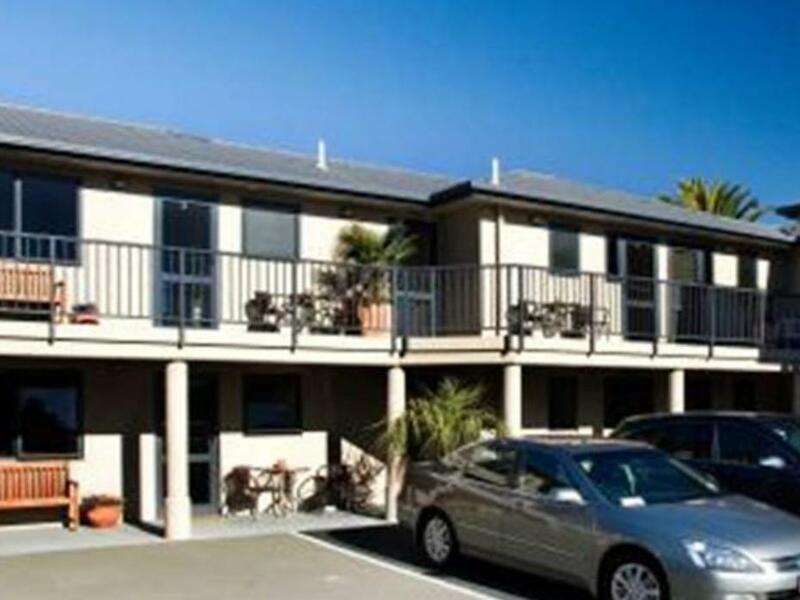 Blenhiem Palms motel is one of the hotels/motels in Blenheim that you can use for a short or long stay. We stayed for 4 nights, and must say, had a great time. The one-bedroom apartment gives you enough room to lounge about whilst waiting for your wine tour to start, or just to relax after a day out. Plenty of towels, very helpful management, great introduction to Blenheim when you arrive, walking distance to a couple of great restaurants, easy to find, plenty of car park space.I'm trying to think of a downside but can not!